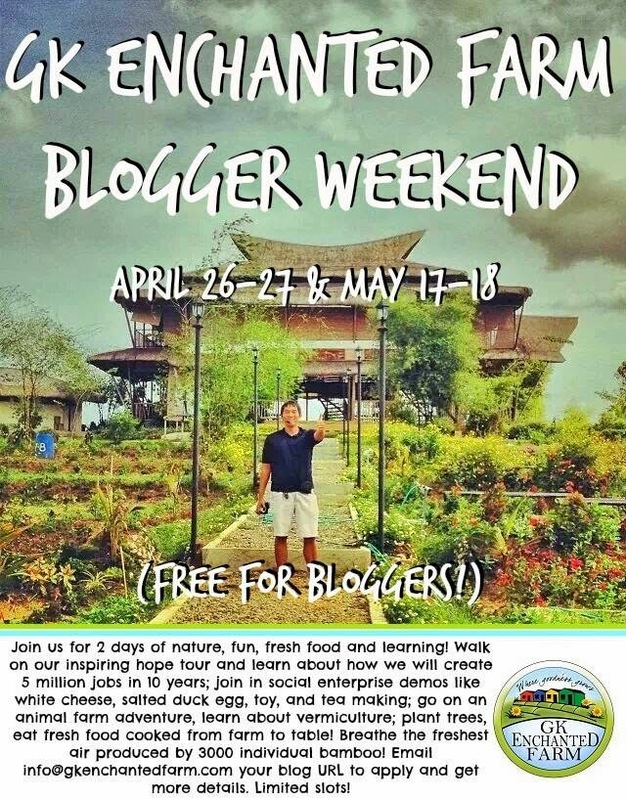 The GK Enchanted Farm is organizing a free weekend for bloggers! If you like writing about beautiful stories, interesting ideas and inspiring movements on your blog then you are more than welcome to join us either on the April 26-27 or May 17-18 weekends. You will enjoy a free tour of the farm and will be able to join demos of our social enterprises. Transportation, accommodation and meals will also be provided. You just need to send your blog URL to info@gkenchantedfarm.com to book your weekend. See you soon at the Farm!